Ulysses Tours and Safaris, based in Centurion (Gauteng Province), is an incoming tour operator, specialising in tailor-made itineraries for up-market FITs, groups, incentives and pre- and post conference tours, airport shuttles and general chauffeur driven transport. 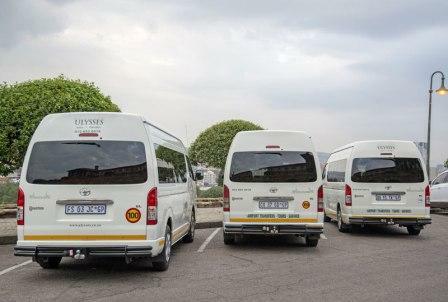 The company was established in 1996 and owns a fleet of air-conditioned microbuses, sedan cars, a limousine, coaches as well as Pretoria’s famous Purple Buses – double-decker sightseeing and party buses. Apart from the private and scheduled day tours departing daily from Gauteng, Durban and Cape Town, several overnight packages are available. These include tours of the Kruger, Pilanesberg, Mapungubwe, Madikwe and Welgevonden National Parks, Kwazulu-Natal, the Garden Route, Cape Town and Sun City. 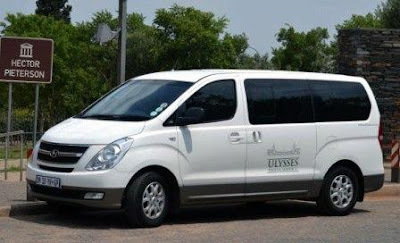 ﻿Ulysses Tours offers private door-to-door airport transfers to/from the OR Tambo International Airport (ORT), Lanseria, Wonderboom, King Shaka and Cape Town International Airports. Travellers are met with a personalised name board before being transferred to their destination. Their punctual service will meet you on time at any time to any destination! Qualified drivers. Thei drivers are trained and possess the necessary qualifications and documents including a valid driver’s license and public driver’s permit (PDP). The buses are available for charter for office functions, birthday and bachelor parties and more. The streets of Pretoria are not only adorned with its famous purple Jacaranda blooms but also with two big purple buses – the Jollyride Purple Bus CC’s Open Top Purple Buses! The buses are licensed to carry 60 passengers each. As required by law, the top deck is partially covered in the middle, but is open on the sides. A bar counter (you must supply your own drinks), radio / CD-system (MP3 with USB port) with 10 speakers and a toilet are also fitted on the buses. The buses are available for charter for office functions, birthday and bachelor parties, marches, weddings, sightseeing tours and for general transport to sport events, golf days, dinner evenings, basically anything! Their reliable chauffeur service – ANYWHERE, ANYTIME – ON TIME. Their drivers are trained and possess the necessary qualifications and documents i.e. a driver’s license and public driver’s permit. Two-way communication with their office: All their drivers / tour guides carry cellular phones and are in constant contact with their Operations Office. 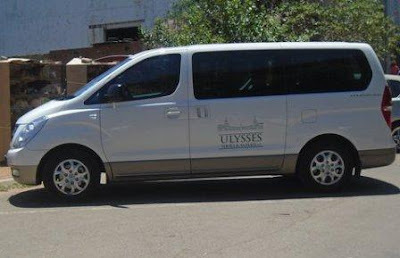 Ulysses Tours and Safaris offers day and overnight tours and safaris to the corporate, leisure, conference and international tourist market for a total travel experience in Southern Africa. Take a moment to browse through the tours they have to offer and contact them if you have any further questions or to make your booking. 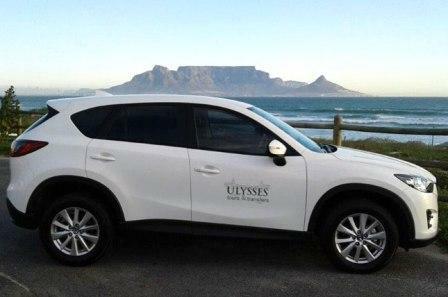 They will be glad to assist you in creating tailor-made tours and memories as you discover all South Africa has to offer as a tourist destination. Directions: From the N1 highway, take John Vorster Drive off-ramp. Turn left onto John Vorster Drive. Turn left onto Hendrik Verwoerd Drive. Turn left onto Jakaranda Street. Turn right onto Edward Avenue. Take the 1st left onto Johannes Drive.